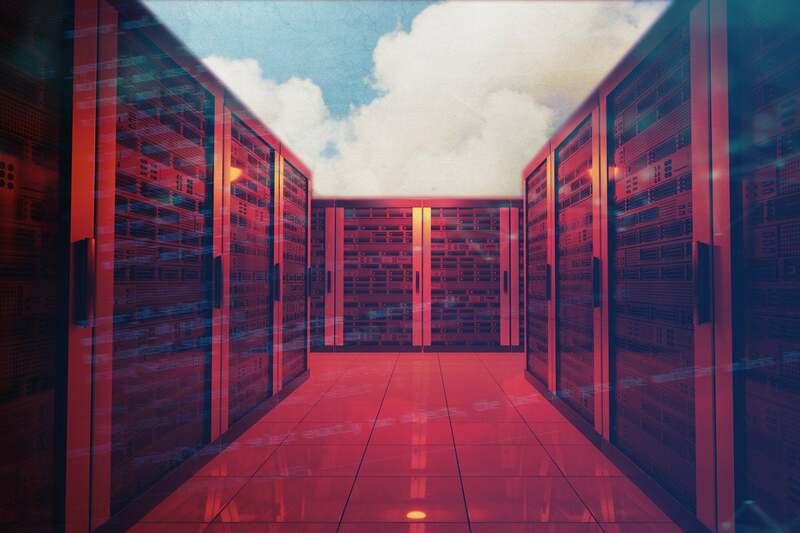 Cisco and Amazon Web Services (AWS) will soon offer enterprise customers an integrated platform that promises to help them more simply build, secure, and connect Kubernetes clusters across private data centers and the AWS cloud. The new package, Cisco Hybrid Solution for Kubernetes on AWS, combines Cisco, AWS and open-source technologies to simplify complexity and helps eliminate challenges for customers who use Kubernetes to enable deploying applications on premises and across the AWS cloud in a secure, consistent manner said David Cope, senior director of Cisco Cloud Platform & Solutions Group (CPSG). In a blog post outlining the technical details of the new package, Reinhardt Quelle a principal architect in Cisco’s CPSG, wrote that the hybrid solution integrates Cisco Container Platform (CCP) and Amazon Elastic Container Service for Kubernetes (EKS), so customers can provision clusters on premises and on EKS in the cloud. Cisco introduced its Kubernetes-based CCP in January and said it allows for self-service deployment and management of container clusters. Cisco said IAM is integrated as a common authentication mechanism, so the cluster administrator can apply the same role-based access control policies across both environments. Both environments are integrated with Amazon Elastic Container Registry, providing a secure, single repository for all container images. "More customers run containers on AWS and Kubernetes on AWS than anywhere else," said Terry Wise, global vice president of channels & alliances, Amazon Web Services, in a statement. "Our customers want solutions that are designed for the cloud, and Cisco's integration with Amazon EKS will make it easier for them to rapidly deploy and run containerized applications across both Cisco-based on-premises environments and the AWS cloud." For Cisco, the announcement furthers its strategy of offering technologies that help enable cloud environments in and around the data center. For example, Cisco recently announced that its Container Platform will work with SAP’s Data Hub to integrate large data sets that may be in public clouds, such as Amazon Web Services, Hadoop, Microsoft, or Google, and integrate them with private cloud or enterprise apps such as SAP S/4 HANA. The largest challenge for Cisco is expanding its footprint into new buying centers within IT, notably developers. “AWS has a strong developer footprint, Cisco (and its channels) generally do not. Reaching this prickly audience is not impossible but hard to do. They will need to invest in sales training and marketing. The good news is Cisco has been extending its reach into new IT buying centers for the last five years,” Elliot said. 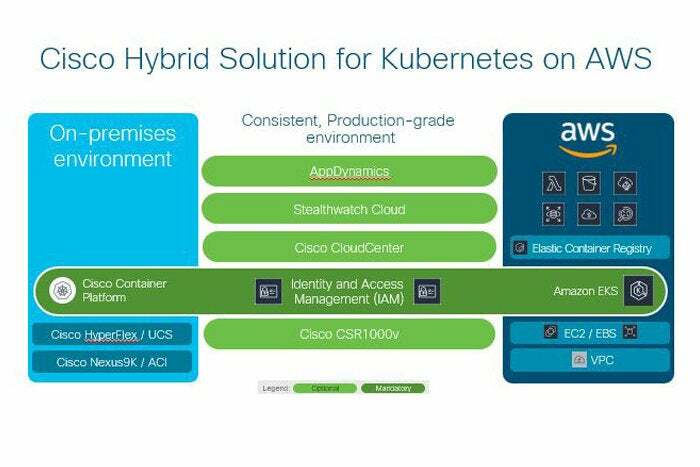 The Cisco Hybrid Solution for Kubernetes on AWS will be available in December 2018. It will be offered as a software-only solution, requiring only the Cisco Container Platform, or a hardware/software package with the Cisco Container Platform running on Cisco HyperFlex. The software is licensed in one-, three- and five-year subscriptions. Pricing for software-only subscriptions will start at approximately $65,000 per year for a typical entry-level configuration. On AWS, customers pay $0.20 per hour for each Amazon EKS cluster that they create in addition to the AWS resources (e.g., Amazon EC2 instances or Amazon Elastic Block Store volumes) they create to run Kubernetes worker nodes. This story, "Cisco-AWS marriage simplifies hybrid-cloud app development" was originally published by Network World.